How did this happen? How are we in September already? Did the summer really just pass us by? Didn’t I just tell someone that fall is still months away? Is that Halloween decorations I see in the store? Yes. Yes, to all. We are no longer gearing up for fall, we are in it. Boots are showing up in the shops, pumpkin flavored things are already all the rage, and I’m sure that all that amazing summer produce will soon be a memory. And even though fall may be my most favorite season at all, because, quite frankly, it’s the best ever, I still want to hold on the to summer for just a bit longer. So, this is what I call my transition recipe. It’s ice cream! Hello, summer! Cool, satisfying, perfect sitting outside on a rooftop when the warm sun is bearing down. But it’s ginger! Hello, fall! Warm, crisp flavors that really embody the best of the coolness (literally) that is fall. Enjoy some in your air-conditioned apartment, while you are online shopping for sweaters. Eat some after a long walk outside in the last of the warm nights before picking up your dry cleaned winter coats. Do you see what I’m doing here? Yes, that is this ice cream. Cut ginger root into long strips and place in small saucepan. Add just enough water to cover the ginger and bring to a boil. Bring to a rapid boil for exactly 2 minutes and remove from heat. Drain the water, and reserve the ginger root. Mix corn starch with just the 3tbsp. 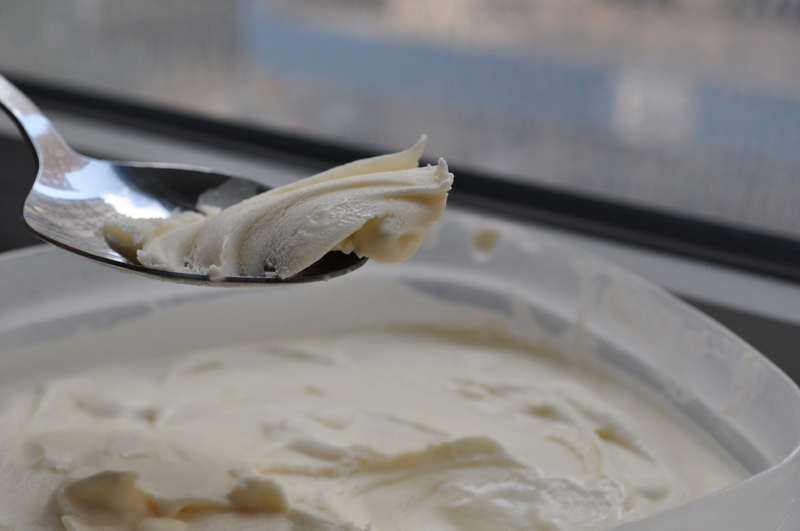 of heavy cream to make a smooth slurry in a small, separate bowl. Add the salt and mix. Set aside. Place ginger in a pot, and add milk, cream, sugar, and honey (or golden syrup). Bring to a rolling boil at medium high heat and boil for 4 minutes. 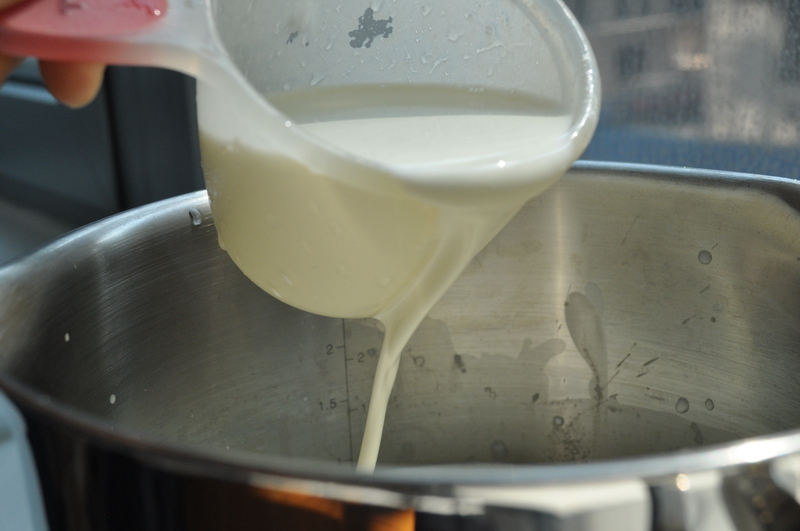 Remove from heat and whisk in corn starch slurry. Return mixture to a boil and cook, stirring until the mixture is slightly thickened, about 1 minute. Remove from heat. Pour the mixture into a container, and store in fridge for a minimum of 12 hours, or overnight. The longer it sits, the stronger the ginger flavor will be. When ready to churn, take out base, and pour through a fine sieve to remove larger ginger pieces, and any other smaller flecks. 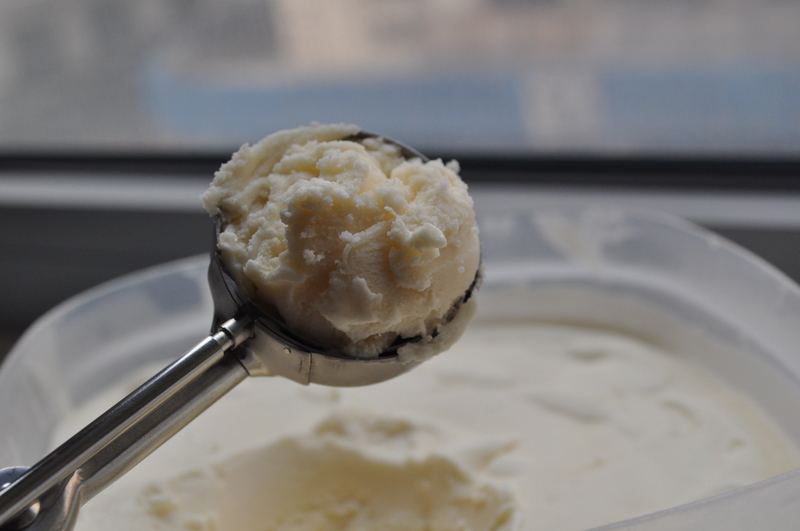 Churn ice cream until thick and creamy, according to your ice cream maker’s directions. 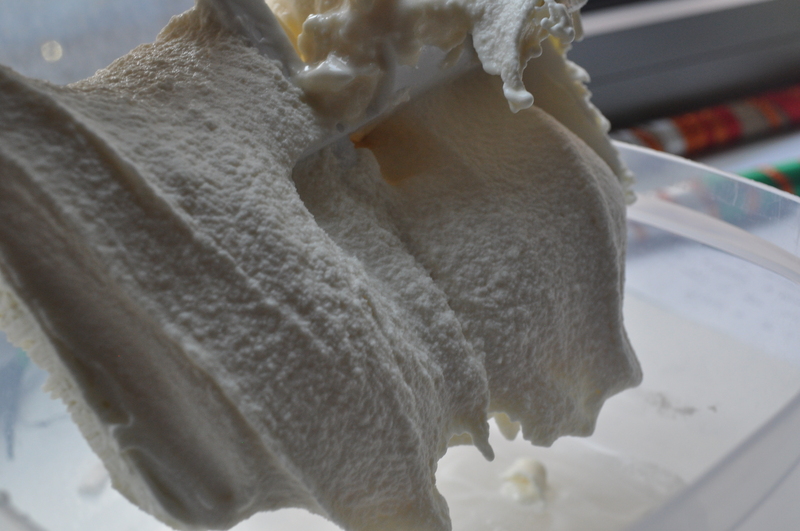 Freeze ice cream in the coldest part of your freezer for at least 4 hours before serving. 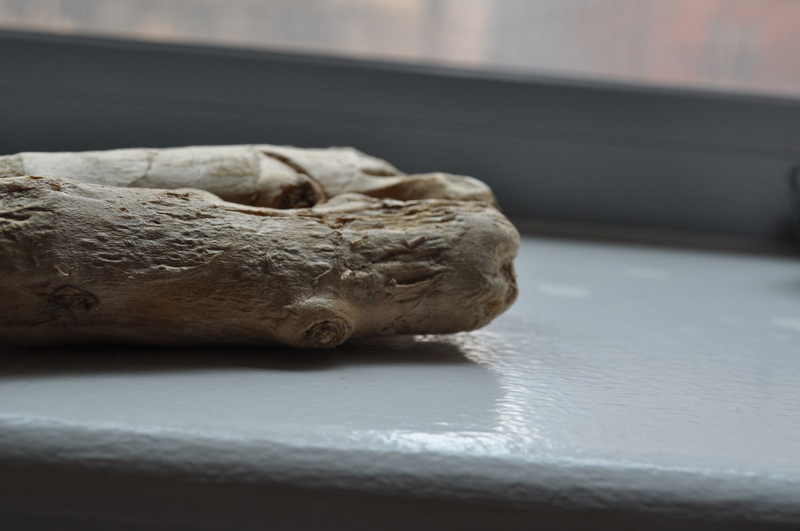 This entry was posted on	September 4, 2014 at 11:07 am	and is filed under Uncategorized.